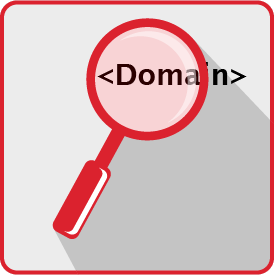 Are you interested in a specific domain, but it is already registered? If so, use our domain brokerage service! For this reason, we need to know the maximum budget that you want to spend for a specific domain. After that, we’ll check to see whether we can accept your order of mediation. Normally we will get back to you with an answer within one business day. The total fee of € 59,-- is to be paid only when the assignment is accepted. With a successful completion, we charge an extra commission of 20% of the net purchase price*. The total mediation of the domain is normally settled within a few days. You will remain anonymous to the current holder of the domain. Are you interested in a specific domain, but it is already registered? If so, use our domain mediation service! *) before 20% value-added Austrian tax; not required with a valid VAT ID No. or third-country status.